Surgery is an unfortunate reality for most pets during their life time. Sometimes the surgery may be a routine spay/neuter, a dental procedure or even a surgical procedure for a serious medical issue. We continually strive to make ANY anaesthesia and surgery as safe as possible, regardless of our patient’s age. We have just purchased the latest anaesthetic monitor that assists us with monitoring how well our patient is ventilating. 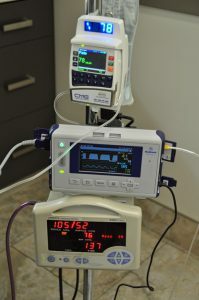 For years we have had devices to monitor our patient’s blood pressure, heart rate and how well they are being oxygenated during surgery. We all produce carbon dioxide (CO2) in our bodies that needs to be released when breathing (ventilation). It is vitally important that this CO2 is properly eliminated in an anaesthetized pet by continuously measuring the CO2 released throughout each breath. 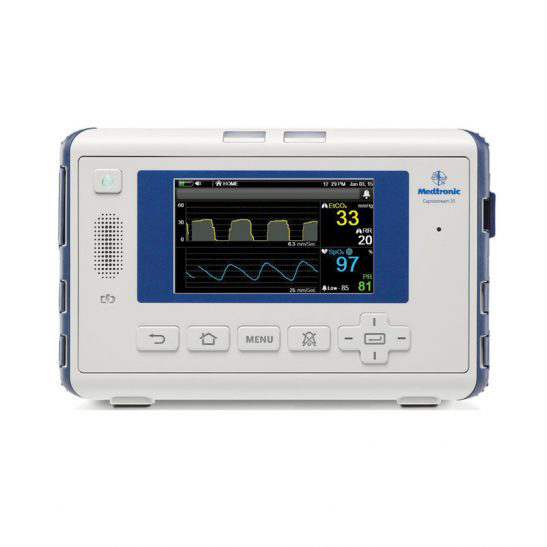 The capnograph is a non-invasive monitoring device that can provide split second information on ventilation (pulmonary function), blood flow, and equipment function. So if your pet does require an anaesthetic, we can make it even safer with the advent of this new capnography anaesthetic monitor.